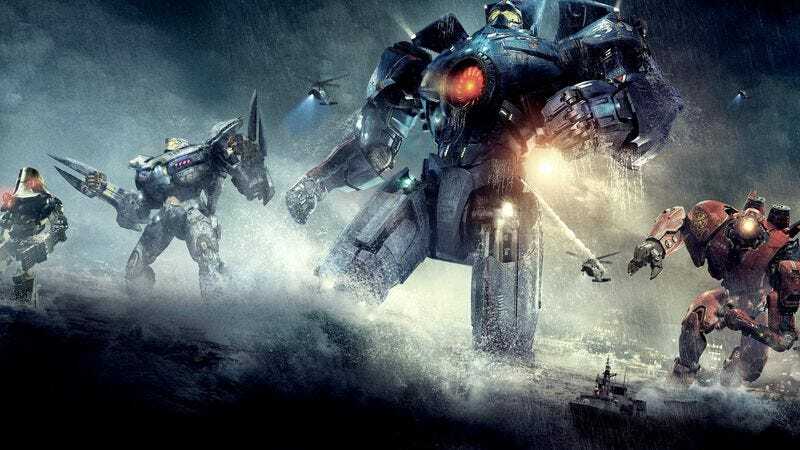 According to an interview at the ATX Television Festival, Guillermo del Toro has started writing a sequel to his wub-wub-clang mechas vs. kaiju flick Pacific Rim. Del Toro—who was in Austin to promote his FX vampire series, The Strain—says he began work on Pacific Rim 2 several months ago, with Marvel movie mainstay Zak Penn as his co-writer. Of course, writing a movie is very different from getting one made. And although Pacific Rim earned over $400 million worldwide, that number begins to seem a lot smaller once you factor in the film’s $190 million budget and the estimated $175 million spent on its extensive marketing campaign. Legendary Pictures, which produced Pacific Rim and put up 75 percent of its budget, has yet to give del Toro the go-ahead, and even he admits that, at this stage, he doesn’t “have the money,” but is still “proceeding like it is happening.” But if the budget never materializes, maybe del Toro could take a cue from Be Kind, Rewind and just make the movie in his basement.